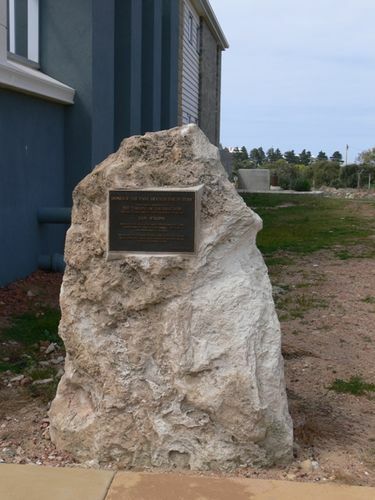 A plaque, mounted on a large stone, commemorates the start of the re-development of the Warrnambool Woollen Mills site in 2005. The Mill Warrnambool is a residential development with on-site community, recreational and cultural facilities. The 3.9 hectares development of The Mill Warrnambool will be home to private residents alongside large areas of public space reserved for shops, parks, paths, tourist amenities, cultural activities and cottage industries. The Mill Warrnambool development will give the old Woollen Mill new meaning in keeping with its historic significance.